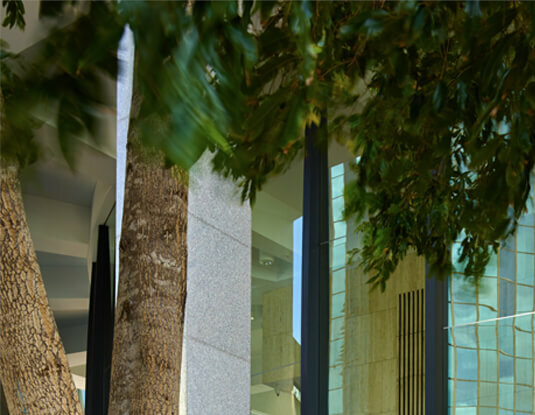 Towering above Brisbane, Riparian Plaza’s office accommodation consists of 30,000sqm of premium grade office space across twenty-five levels. Each floor enjoys uninterrupted views over Brisbane and south-east Queensland, further enhanced by the light-penetration through floor to ceiling windows. Developed at an angle to the river, the building’s design promotes the relationship with the river, ensuring an outlook is enjoyed from all areas of the working environment. There is a reason why an elite group of tenants have chosen to call Riparian Plaza home. 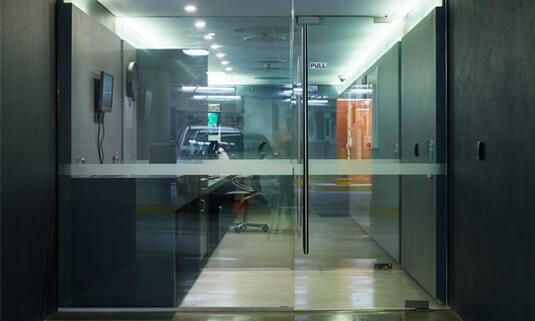 The building’s tenant amenity, car parking and advanced technological backbone provides the ultimate in office accommodation. 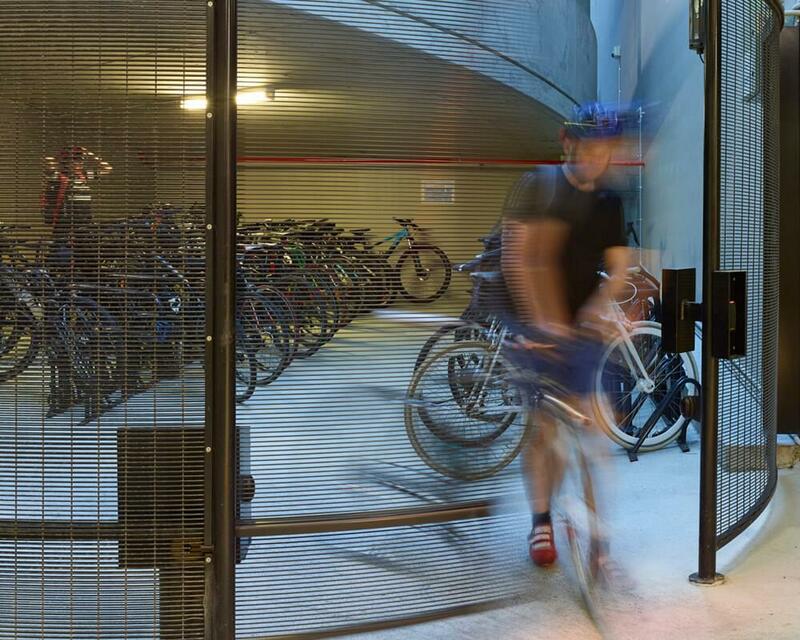 A total of 86 bicycle racks are located in a secure basement compound. Automated sliding gates allow for ease of entry and exit and immediate access off the city boardwalk and Eagle Street. Off the riverside boardwalk, the end of trip facilities are easily accessible and luxurious for those riding, running or walking to work. 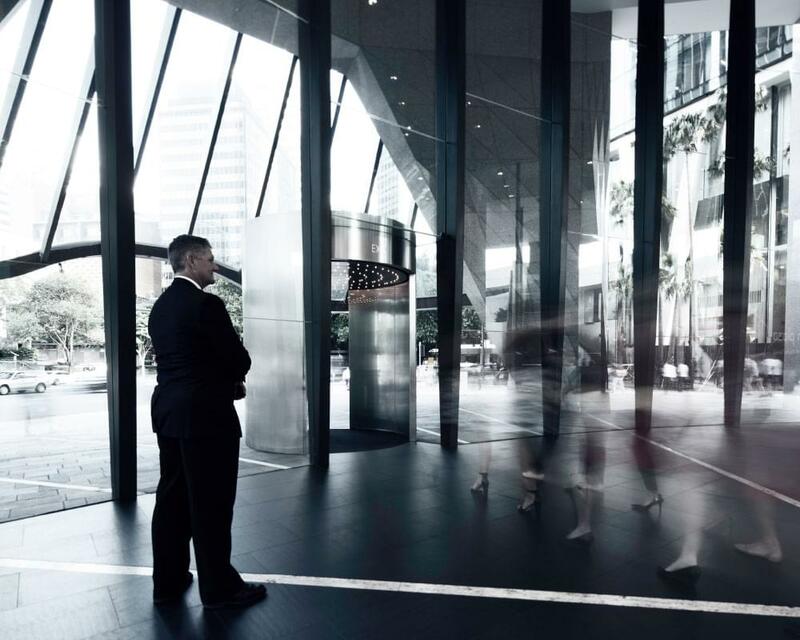 An exceptional concierge service is provided Monday to Friday between 6.30am and 9.30pm. Our professional and friendly team will meet and greet your staff and visitors making them feel part of this special community. 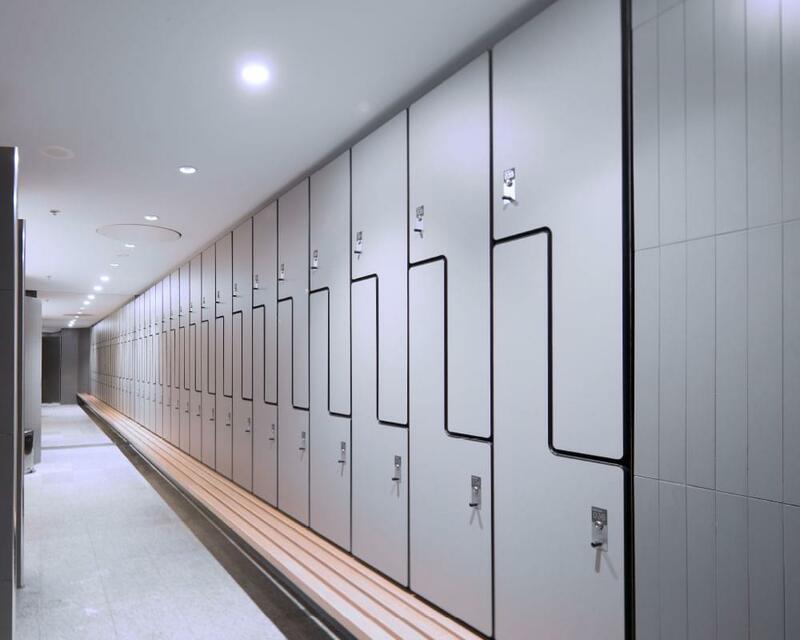 There are male and female lockers, generously sized and high quality with enough space to accommodate suit hanging. Access to the bicycle storage is via the base building access card only. The storage compound and cyclist amenities are monitored 24/7 by CCTV cameras. Panic alarms are located in the bicycle storage compound and each of the cyclist shower amenities. 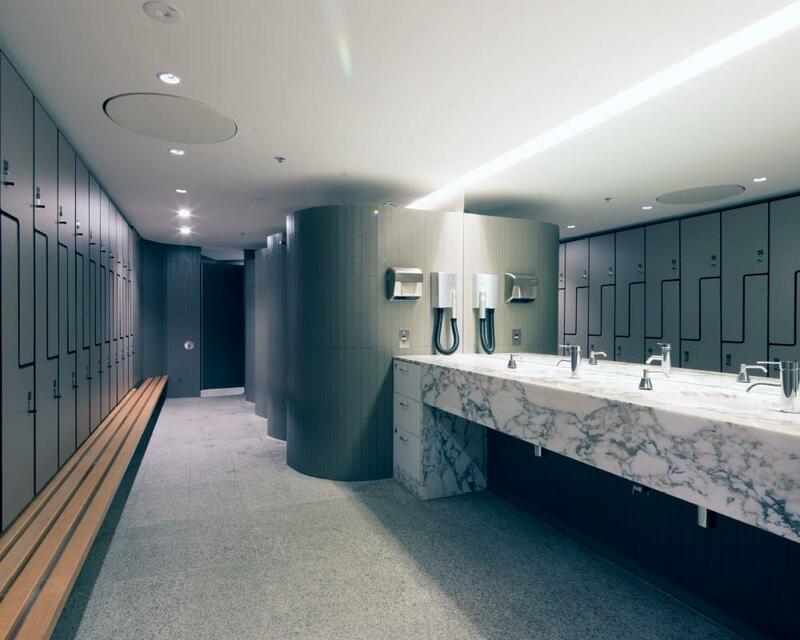 Access to the relevant male and female showers amenities are provided on each access card issued to occupant of Riparian Plaza. Riparian Plaza is committed to the principles of sustainability and since construction has sought to progressively integrate sustainable practices into standard day to day operations. A comprehensive energy audit resulted in the construction of a detailed, interactive 3D computerised model of the building and its services, to accurately predict the energy savings achievable from the implementation of a range of new technologies. Extensive capital expenditure works have been undertaken, designed to achieve a minimum base building NABERS five-star rating. Energy modelling predicts energy reduction of at least 35% as a result of these works. Riparian Plaza utilises continuous automated computerised monitoring of the central air conditioning plant operation to ensure optimal performance. Information collected from continuous monitoring is used to feed back into the interactive 3D energy model to inform decision making of further sustainability project works. A highly efficient variable air volume (VAV) air conditioning supply system ensures stable conditions via 20No VAV units per floor with air delivery via swirl diffusers to minimise droughts. Out of hours air conditioning requests are managed online to ensure flexibility of use by tenants. Riparian Plaza is currently targeting a NABERS five-star rating. A dedicated Energex switch board is located above the car parking levels of Riparian Plaza Riparian Plaza with capacity to provide25w/M2 to each level. The Authority supply is supported by standby diesel generators. Electrical and data reticulation on the floors are via three compartment skirting ducting. The facade incorporates sunshades and specialised grey tinted double glazed sealed panels to reduce solar glare and improve thermal efficiency. A generous 2.7 metre ceiling height is achieved without bulkheads virtual full height glazing with a minimal 210mm perimetre skirting. Each level has provision for connection to the tenant ’s condenser water loop, as well as capacity for outside air, ventilation and hydraulic service. Energy efficient 18W Erco LED down lights are installed to achieve a modern clean ceiling grid whilst ensuring low maintenance with a long 50,000 hour lamp life.